Free Shipping On Many Items And Is Learning Beekeeping On Your Own A Bad Idea? 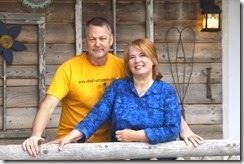 Hey everyone, we are David and Sheri Burns at Long Lane Honey Bee Farms. We started beekeeping 23 years ago and have been running our bee business now for over a decade. It has been so enjoyable. Sheri and I have college degrees and have traveled the world and have ran several other businesses. We've worked many jobs, but this one is by far the most fun. Not every married couple can work together like we do, but we love it. 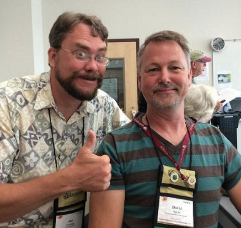 The beekeeping community is so great to work with and help. Is learning beekeeping on your own a bad idea? I like learning things on my own, most of us do. I learned how to play the guitar on my own. It took me a long time and I am nothing like a trained guitarist. My 11 year old son is taking guitar lessons and he's already better than me. I have my own style and technique and it works but it is very limiting. Since I taught myself I am missing our on some important techniques. Beekeeping is similar. 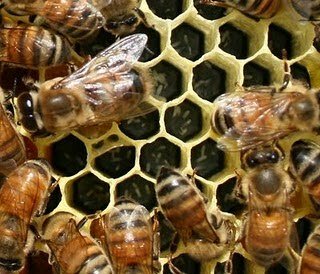 You can keep bees and slowly learn beekeeping over time, but there will be key techniques and approaches that you may never develop. With a guitar, you may not really care if you aren't doing it right, but with your bees, it matters. It's a huge bummer when they don't make honey or worse, they die and you've wasted your money and time. We are all thankful that our doctors and pilots not only are highly educated, but are required to intern first before operating on us or flying us around the world. We know so much more about beekeeping today than we did 50 years ago, even 10 years ago, even last year. Taking a beekeeping classes and learning how to manage a colony can make a huge difference in not only how well your bees perform, but how much more enjoyable beekeeping can be. We receive phone calls everyday from people around the country who want us to explain beekeeping over the phone. Their intentions are good, but unrealistic. We've spent years perfecting our beekeeping presentations so that we provide the most important information in the least amount of time. The mind can only absorb what the seat can endure. 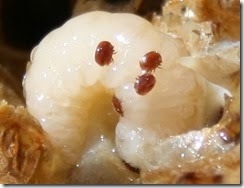 Some beekeeping instructors will bore you with historical facts and fail to explain crucial feeding techniques or chemical free mite reduction. Very few beekeepers understand the importance of feeding bees in the winter, for example. We've gone to great lengths to study bees in the winter, and have discovered how to provide the nutrition they need in our Winter-Bee-Kinds. Most beekeeper think their bees died for cold temperatures. Not true. If you've never tried our winter feeding system, click here to learn more. 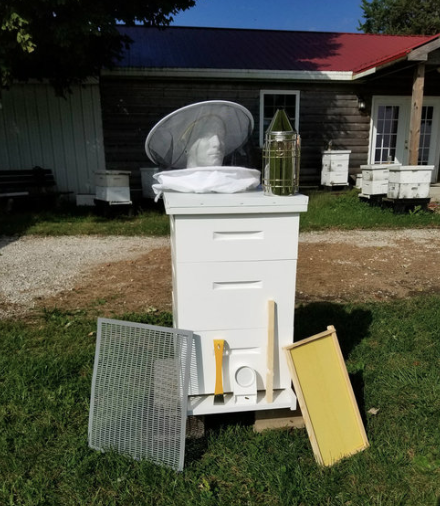 Once again, we will be teaching our 2019 beekeeping classes and they are online now. Our classes fill us very fast. We keep them small so we can provide a more personal teaching approach. Because we keep them small, we must warn you that our classes fill up really fast. In fact, our queen rearing class usually fills up within a few weeks after we open registration. We've just created a new video spotlighting many important fall tips such as: Wrapping Hives, Treating For Mites In The Fall, and Storing Honey Supers. This video also expands how to store honey supers so they will be ready for next spring. Beekeepers make many mistakes leaving their honey supers to be destroyed and unusable next spring. Learn the right way and more. Watch the video by clicking on the link to the left. No one likes being embarrassed. We have our egos and our reputations to protect. We want people to like us and value our advice and opinions so we hide those embarrassing moments. When we slip on the ice we get up wondering if anyone saw us. I want to share some embarrassing beekeeping moments I've experienced over the years. Let's face it, we all make mistakes. None of us are without flaws, right? AGAIN! It took me years of research, trial and error to finally figure out that colonies need protein all winter, not just sugar. I've done every embarrassing thing possible. I've accidently dropped a frame full of bees, accidently killed a queen, knocked over a hive while mowing, left a door open into the extraction room during lunch, forgot to close the extractor gate, etc. One of my more embarrassing moments was during one of my beekeeping classes. We were out in the field inspecting a hive and it was going really well. Sometimes when I remove a deep or a super I place it on the ground on the short side, usually the front side on the ground. The handles on this super were in the middle. I had just explained to the class that before you pick up a super from this position, make sure you know which way is up. I did it wrong, and picked up the super upside down and all the frames with the bees fell out of my super. I grabbed my smoker and started picking up all the frames and bees were everywhere. Another embarrassing moment happened when Sheri and I were inspecting our hives that were about 30 miles a part. These hives were pollinating pumpkins. During the drive between yards, I failed to block off my smoker and it burned out and I was completely out of fuel from my first inspection. We were in a really old F150 and I parked it near the hives. Our son, Christian, was in his car seat between me and Sheri. I got out and decided to just remove the supers without smoking the colony. This did not go well. The drivers door could not be opened from the outside. So I threw the lids back on the hive and I couldn't open the truck door because we had rolled up the windows. I had parked in an area of tall brush. I had to get away from those bees by getting into the truck, the Sheri was having trouble opening my door from the inside because the car seat was in the way. Meanwhile I kept running around the truck, lifting my legs really high to hurdle the tall brush so I could run faster. Sheri said it was the funniest thing she had ever seen. Even I know you should be still and that you can't out run bees, but I had to do something! As beekeepers we do some pretty embarrassing things. But that's how we learn not to do that again. When beekeepers ask me questions, most of them start by saying they did something embarrassing. 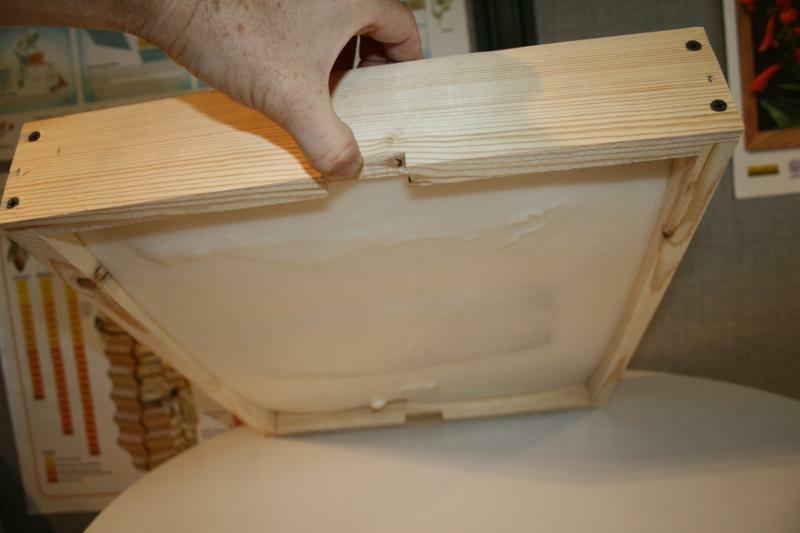 Some beekeepers make some embarrassing mistakes storing their honey supers. They store them in trash bags only to find that wax moths have destroyed the supers by spring time. They place them in their moist basement only to find them covered in mildew and mold. I recently made a new video showing how I handle my honey supers after harvesting the honey. Please "like" the video when you watch it. Join online Next Wednesday at 1:30 p.m. central time. During the show, press 2 on your phone to "raise your hand" and let David and Jon know you would like to ask a question on the air. They will unmute you in order for you to speak. Call in during the live show and you may be selected to be on the air with Jon and David. New research in beekeeping is showing many promising results. So much is changing year to year. Don't be left in the dark practicing out of date methods. I'm EAS Certified Master Beekeeper and I love helping beekeepers become successful. It's pretty simple. Do the right things and bees are healthier. Sounds and seems easy until you start. Then there are a thousand questions. And there are so many different opinions and answers. Which one is best for my bees? I want to be your beekeeping best friend. Sign up now for BeeTeam6 Beekeeping Coaching Program. I will be talking about some of the most recent discoveries, such as mushrooms showing potential to control viruses in the colony. Sign up for 6 months and you will be prepared and ready for Spring. I'll also send you 6 of my most beneficial and helpful lessons from the last couple of years. Or you can sign up monthly by Clicking here. In the last BeeTeam6 teaching video, I explained to subscribers how to gather propolis with a propolis trap. Here are several ways to get caught up to speed on "Getting Your Bees Through The Winter". "Getting Your Bees Through The Winter" - David's eBook on Amazon. Click here now. WE ARE NOW OFFERING FREE SHIPPING ON MANY ITEMS -INCLUDING HIVE KITS! MORE ITEMS WILL HAVE FREE SHIPPING BY NOV. 1 AND CURRENTLY--NO MINIMUM $$ ORDER IS REQUIRED!! Liberty Kit Without Bees is a great starter hive. Made here in Illinois, Amish craftsmanship. New pricing with free shipping. Because of the popularity of our Winter-Bee-Kinds, we have a limited number that we produce each season. Order yours early to ensure you get yours. Now that it is turning colder, make sure your bees have adequate food for winter by placing our Winter Bee Kind on your hive if for no other reason than insurance that they won't starve! Available for 10 frame, and 8 frame hives. This year was the roll out of our online beekeeping courses. People around the country have been telling us they want to attend our beekeeping classes but they live too far away. We rolled up our sleeves and went to work to provide our classes online. Now hundreds have told us how much they have enjoyed going through our ONLINE courses. If you are not convinced, consider the money you have invested in bees, protective gear, hive equipment...hundreds! Please do not waste your money by not educating yourself on how to keep bees...it's harder than you realize. I'm warning you...without investing in a good beekeeping course, you will be throwing your money away and beekeeping will become a frustrating hobby. Save the travel expenses of hotels, gas and food. No juggling schedules. Study at your own pace, when you have time. Study in the comfort of your home. As a BONUS, receive 1 month of free mentoring/coaching through our BeeTeam6 beekeeping mentorship program with EAS Certified Master Beekeeper, David Burns. A few days after signing up you will have 30 days to directly email David with any questions you may have. Mice will be running into hives and homes for warmer nesting areas. Your hives are an awesome place for female mice to raise their young, nesting on your bottom board and feeding on your bees, honey and pollen. Take action now by reducing your entrances to a small setting. Remember mice can squeeze through a very small opening. Don't wait. Do it before the first hard frost.